The ratio of total of cash & cash equivalents, account receivables and short-term investments of a company against the total current liabilities is known as acid test ratio or quick ratio. It reflects the financial strength of the company. 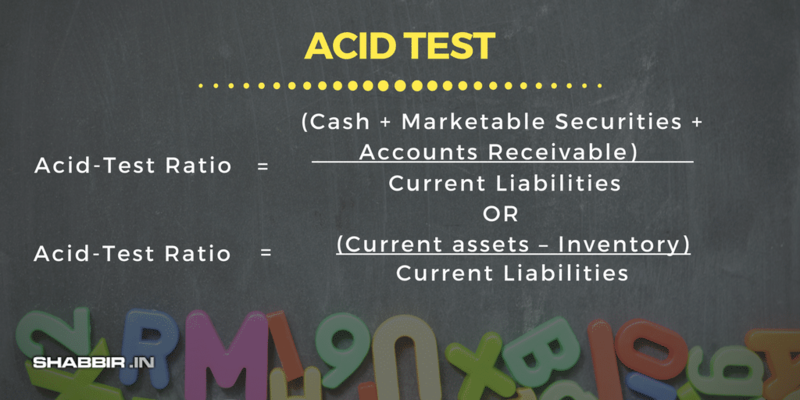 Acid Test Ratio is a measure of the ability of a company to pay its liabilities using current assets. 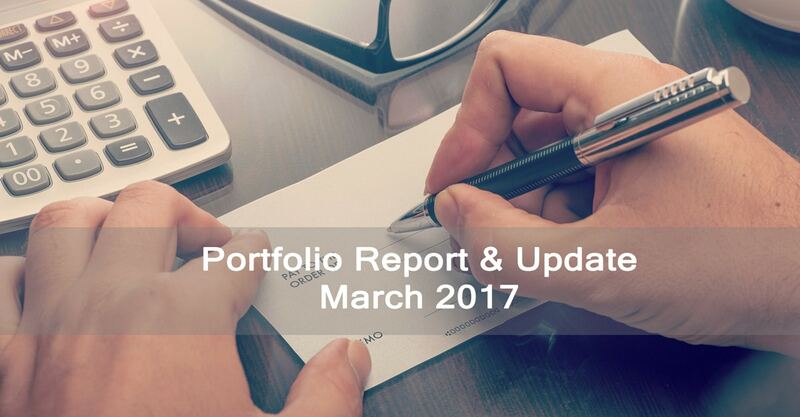 Quick Assets are those assets which can be converted into cash in 90 day or in a very short span of time. 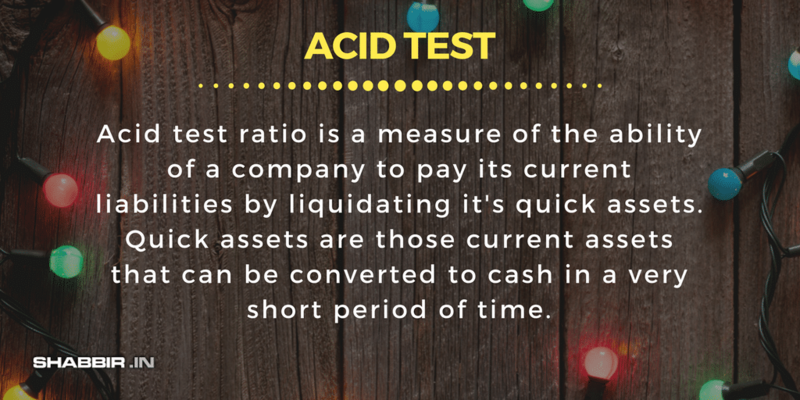 The acid test ratio helps analyze how quickly a company is able to liquidate its current assets to pay off it’s liabilities.